Power clamp meter for measurements of power consumption, as well as the energy consumption in single-phase or three-phase systems. In addition to other measurement functions, i.e. 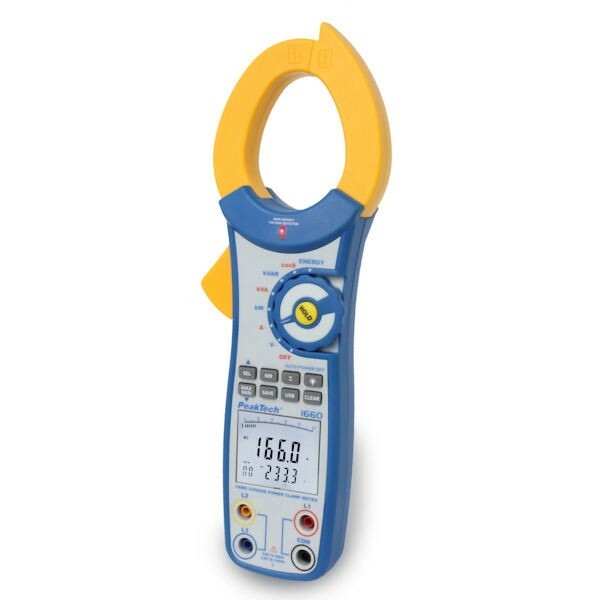 AC voltage and current, phase angle or power factor, during a voltage measurement this power clamp meter is capable to determine the actual absorbed power. The rugged, rubberized and ergonomically shaped case ensures a safe handling during the measurement and is also suitable for use in industrial applications.